Wouldn’t it be cool if the New Media Institute (NMI) had a magazine that not only you could read, but interact with as well? 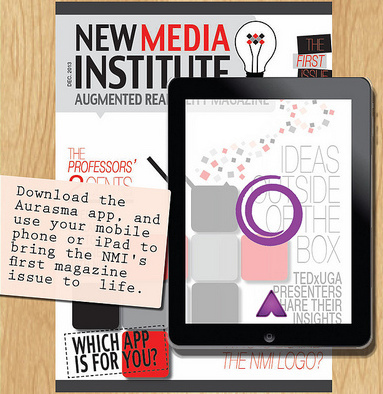 The FIRST issue of the New Media Institute Augmented Reality Magazine is now here! By using augmented reality (AR) as our core technology in our magazine, it increases the level of engagement experienced by readers. Using Aurasma, a free augmented reality application on smartphones, you can interact with our magazine. But what exactly is augmented reality? It is a way of connecting the physical world with the digital world. Ultimately, it blurs the lines between what is real and what is computer generated. 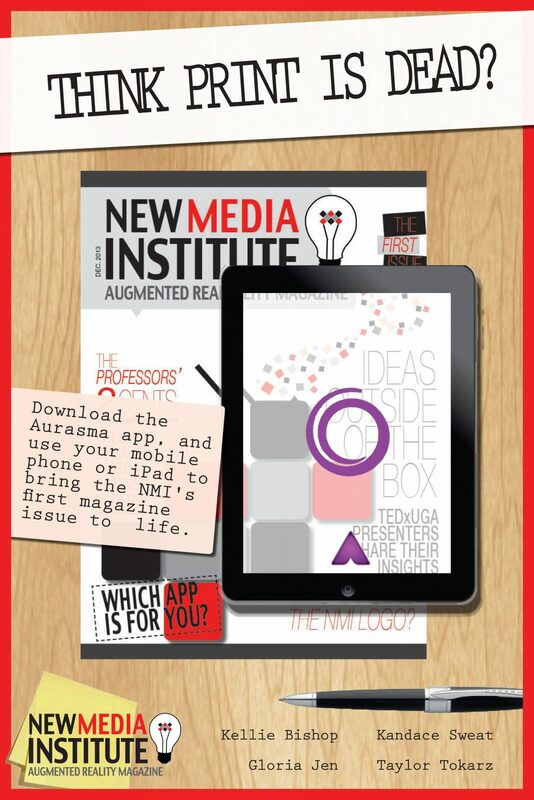 Throughout the magazine, users will be informed about what’s going on within the New Media Institute. Listening to video interviews, trying out capstone projects and taking quizzes are just a few aspects of the New Media Institute Augmented Reality Magazine.